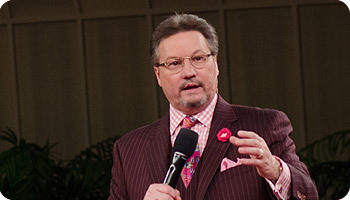 Donnie Swaggart is the only son of Evangelist Jimmy and Frances Swaggart. While Donnie carries the same evangelistic zeal and mantle that his father carries, he has a dynamic and hard-hitting preaching style that is all his own. 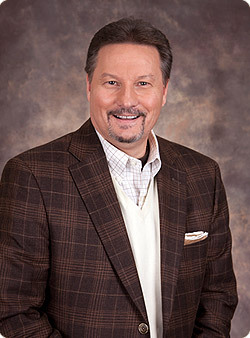 Donnie Swaggart functions under the title of Pastor/ Evangelist, and not only travels the world in evangelistic ministry, but also serves as co-pastor of Family Worship Center Church in Baton Rouge, Louisiana. Donnie Swaggart is called by God to bring the message of Pentecost to those bound by cold, formal, lifeless religion, and to reintroduce the Pentecostal fire and the Pentecostal way of life to those who have never gone beyond the initial baptism experience. He is a regular speaker at the twice annual Jimmy Swaggart Campmeetings. Without fail, Donnie delivers a stirring message on the Holy Spirit on the Saturday night Campmeeting service. Donnie and his wife Debbie make their home in Baton Rouge Louisiana, but his ministry travels have taken him across the United States, South Africa, Australia, Scotland, England, Ireland and Northern Ireland, Sweden, Norway, Italy, Ukraine, Brazil, Mexico, Papua New Guinea, Nigeria, France, India, Canada, Belgium, Democratic Republic of the Congo, Colombia, Costa Rica, Denmark, Paraguay, Argentina and Uruguay . He has been involved in full time ministry work for over 30 yrs. and continues to be passionate about the tremendous call God has placed on his life. 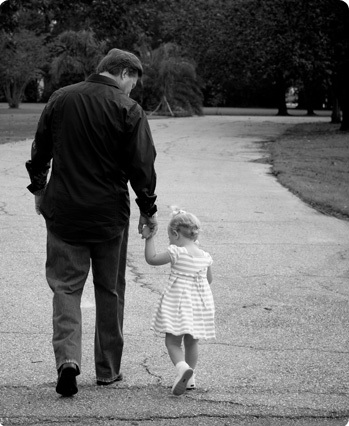 Donnie and Debbie are the very proud parents of three children and eight grandchildren. They have two sons, Gabriel Swaggart and Matthew Swaggart and a daughter Jennifer. Gabriel Swaggart and his lovely wife Jill are an integral part of Jimmy Swaggart Ministries and head Crossfire Youth Ministry, a part of Family Worship Center. They have three adorable daughters, Samantha Gabrielle, Abby Jill and Caroline Frances. Matthew Swaggart is also an active and integral part of the ministry. He is a television graphics artist and a very gifted photographer. He and his beautiful wife Joanna have two sons, Ryder Euin Presley, Navy Matthew Aaron and a daughter Lola Josephine Rose. Donnie and Debbie Swaggart’s daughter, Jennifer, is a passionate teacher and recently graduated with her Master’s in Education. Jennifer, her husband Cliff, their beautiful daughter Harper Riley and their son Harrison Brooks live in Atlanta, Georgia. 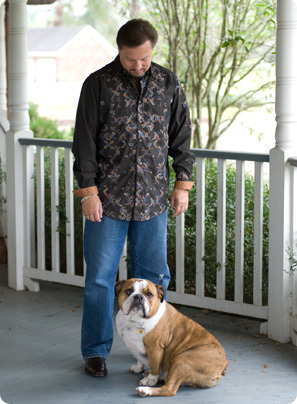 Last but not least, one would be remiss if they did not mention Donnie’s Cajun Bulldog Boudreaux (pictured left) who was every bit an adorable and vital part of his family.